Analytics for JustFood distills all the critical data from your food business into meaningful real-time visualizations so that your team can make better business decisions. Analytics for JustFood helps food companies leverage technology to sort through the noise in their financial and operational data to isolate, calculate and track the business metrics that really matter. Insight is the difference between reporting and analytics. 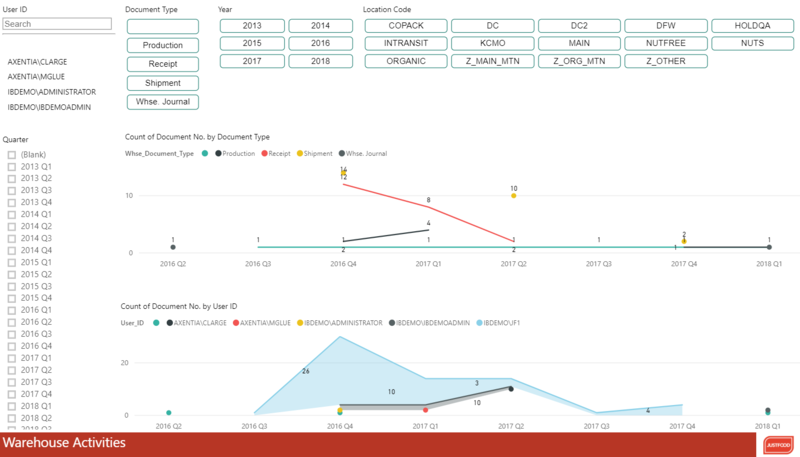 By eliminating spreadsheet-based reporting Analytics for JustFood helps you establish a data-driven culture in your food business. With Analytics for JustFood, decision makers can easily retrieve up-to-the-minute information whenever they need it, without relying on IT or the next report run. That means a lot less time looking for data, leaving more time to spend evaluating what it all means and empowering your people to take action. Put the right information in the hands of the people who need it. Accounting is not the only department looking for accurate data. 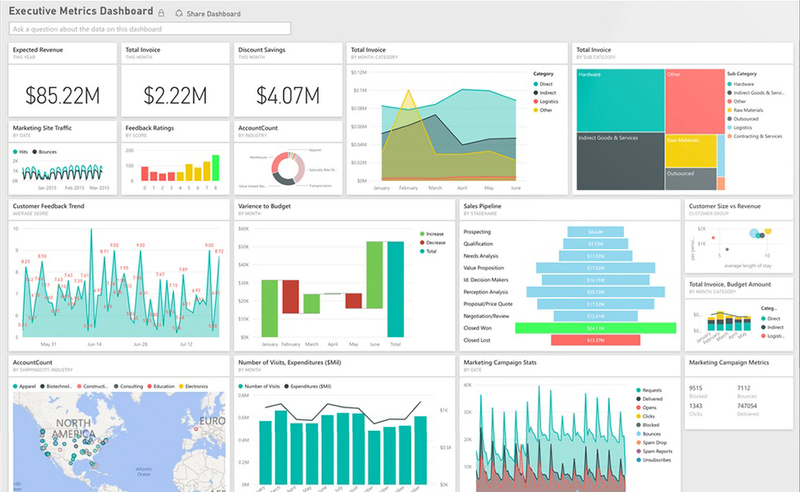 Dashboards organized by functional areas of the business ensure users at all levels of the organization can focus on the data that is relevant to them, and in a way that makes sense for their role. Analytics for JustFood runs everywhere your people are, from mobile devices on the road, to tablets in the warehouse and monitors on the shop floor. With the amount of data you collect, technology needs to do some of the heavy lifting. More data doesn't always mean more information. Part of the promise of enterprise resource planning software is centralization of all enterprise data. Unfortunately, the truth about company performance is often hidden deep within that raw financial and operational data. Analytics for JustFood does the heavy lifting of calculating and highlighting that data for users. Fast deployment means you are up and running quickly. 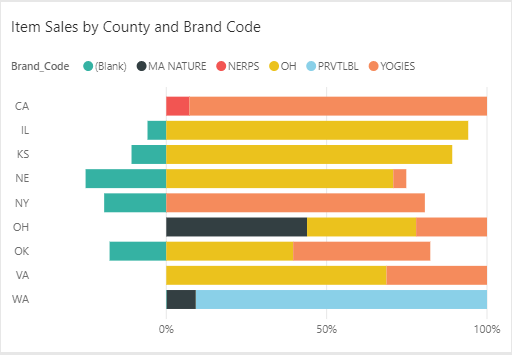 Analytics for JustFood comes bundled with hundreds of pre-built visualizations and data elements specifically meant for food companies. Our technical staff can also help close any skills gaps to help you get started. The intuitive software platform underlying it means that it is easy to make changes in the future. An enterprise quality platform that works with the business applications you have in place. 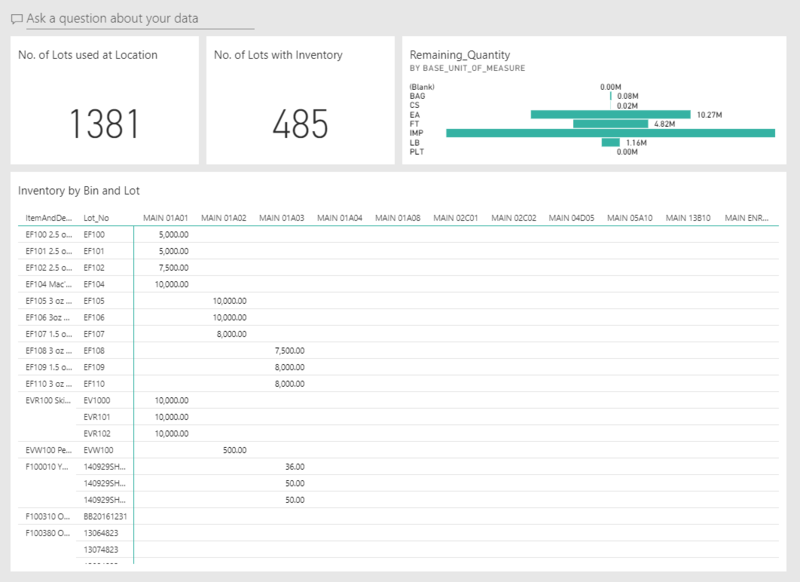 Analytics for JustFood runs on your premises or in the cloud using Microsoft business software. This means the solution you are investing in is powered by a trusted brand. It means simple integrations with your other business applications. It means access to an incredible user community and rock solid support. Analytics delivers on the promise of business software. JustFood ties every part of your organization together under one system, capturing every detail and maintaining a single version of your data. Analytics for JustFood unlocks the hidden insights in that data and puts it where it can make the biggest difference. Leading food companies know that complete data collection and mastery isn't optional anymore. JustFood is the software they choose. Learn how to make the transition from simply collecting business data to finding valuable insights and acting on them. 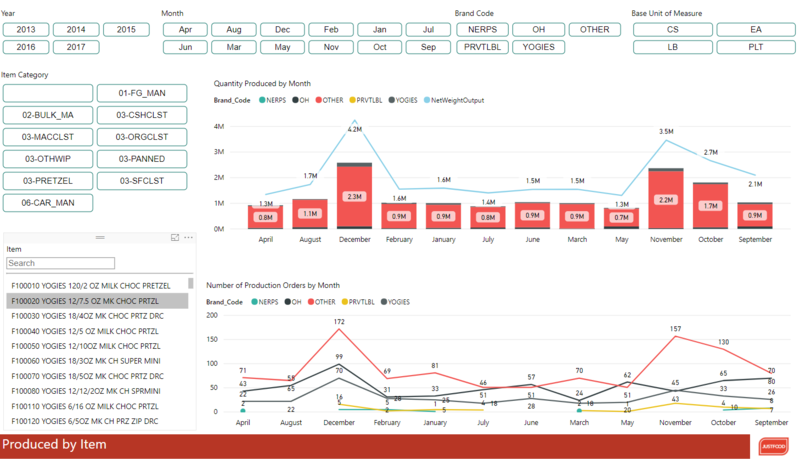 Learn how JustFood brings together all of the critical data from your food business into a single dashboard so that your team can make better business decisions. Find out more about how Analytics for JustFood leads to better decisions and business performance.